INVESTOR ALERT!!!! Great location on a large corner lot in a great neighborhood conveniently located near park, schools, shopping, bus-line, minutes to Autzen Stadium, river/boat landing, bike paths. This home features wood floors, 2 fireplaces, in-law suite downstairs with a full, kitchen and separate laundry. 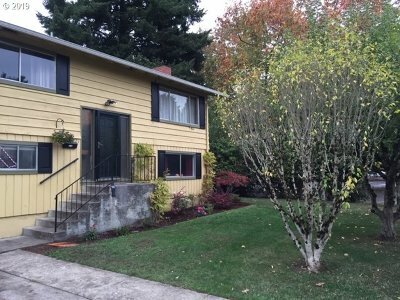 This home is being sold as-is for CASH. DO NOT DISTURB TENANTS. Photos are from owner prior to new tenant.